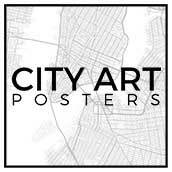 City Art Posters is a project that transfers a map of your favorite city into a city neighborhood map art which is a unique home decor accessories. The project started as a graphic design task for a Tokyo custom map art and it turned out to be a one and only personalized map wedding gift. Meanwhile city map posters turned out to be more popular and gradually the idea of city prints and custom map print become bigger and more cites with different layouts were made. Now personalized map gifts are fashionable in the interior design. Out project incorporates more than 100 cities from all over the world and 50 US states transferred into unique artwork. The map art print is perfect choice for the house, office or as a gift for a friend. But we didn’t finish yet. We are looking for new ideas to be fulfilled. If you have one, share it with us. We are open to make new cites or make them in new style. Lets create the future together. Our latest work is a Retro poster New York that is a mix of hand picked old fashion colors, joined with a set of patterns. This fusion of art poster design creates the cool art posters you can appreciate. Incorporate art and posters in your house and office or make a perfect gift posters for a friend. 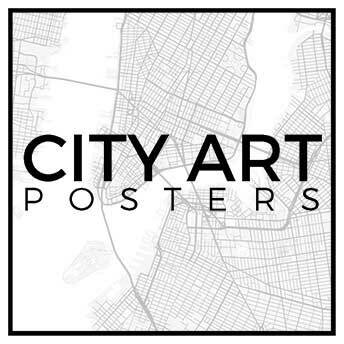 City Art Posters would like to be in your local design shop, so let them know about us 🙂 or if you are an owner, ask us for the wholesale prices. Don’t forget to join us on Facebook as we want to hear your opinion about our work. Our map art prints design is approved by many well known trend sites !